If you think drying thick hair is that hard, you probably haven’t had the chance to get your hands on the best hair dryers for thick hair. These products have an above average power rating that makes them effective in taming and styling your hair. Thick hair means your dryer will face a tougher time drying your hair. With that, you have to find a hair dryer with a tougher motor. So, the first thing is a strong AC or DC motor with higher wattage (power). Next up is heating. A good heating element will not only radiate strong heat but it ensures that the heat is released in a balanced and well-distributed way. For more points to consider, read on. Getting a hair dryer with a powerful motor is present on every hair dryer buyer’s priority list but at different levels. While one buyer may be considering a dryer for short hair, another may be considering a dryer for traveling. However, for the thick hair, you need a dryer with a really powerful and strong motor, one that can last for hours and hours of use as well as a blowhard. Consider a dryer such as the Turbo 3200 with wattage above 1700-1800w; it’ll blow air right to the scalp of your hair. This technology heats hair in a manner which is different from the traditional style. Rather than directly drying your hair by blowing hot air onto it; far infrared technology emits rays which surround your hair and create a ‘hot atmosphere’. Imagine you’re sitting out in the sun; your hair is being dried naturally. Not only is this technology more efficient but also easier on your hair since it doesn’t have the ‘burning’ effect of direct hot air on your hair. Babyliss’s Tourmaline TT dryer is an excellent example of an infrared-enabled hair dryer. Not a noticeable point at first but deeply considered by pros. A hair dryer is only good for how long you can use it in one go. If it’s too heavy or uncomfortable to hold; there goes its worth down the drain. When you buy a hair dryer; look for one with a well-designed handle. Well designed in the sense that it fits perfectly in your hand and is easy to grasp. The buttons should be easily accessible or at least positioned in a way that you don’t find yourself having to reposition your fingers every now and then. 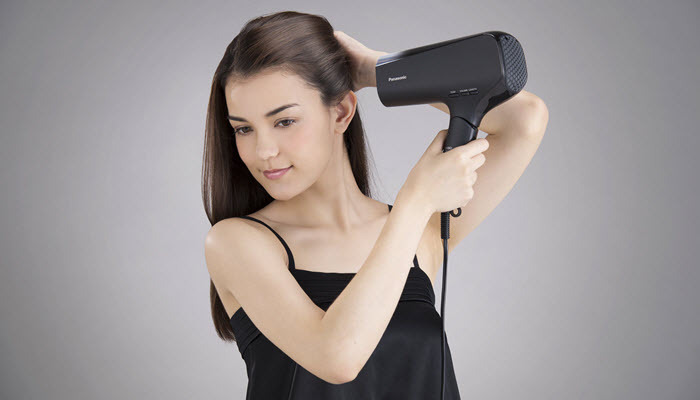 A well-balanced hair dryer will focus its weight on the handle mainly and won’t lean forward like a heavy power tool such as a drilling machine. Thick hair means waves. Waves mean more frizz. An ionizer will reduce frizz drastically and make your hair more manageable. Try getting a dryer with an on/off function for the ionizer; this will help you go for volume as well when you want to try those kinds of styles; rather than being limited to more modest styles only. 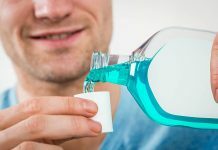 A proper attachment such as a concentrator will help you focus on specific areas more easily and hence speeding up the whole drying process altogether. Different attachments are available as a package with hair dryers. Ceramic heat is balanced and therefore a lot less harsh than heating elements. Thick hair gets prolonged exposure to dryers so proper and balanced heat is necessary to not only ensure quick drying but also minimal damage to hair. If you’ve made a purchase which meets your criteria then chances are you invested some serious money for a hairdryer. Know that with more power you get excessive wear and tear. So try to choose a brand which offers a warranty on the motor in particular. Many companies offer warranties of different types. Mainly there are two types of warranties; full and limited. While full warranty definitely covers the motor; limited warranty may or may not protect you from any motor damage you may incur. Be sure to call up their helpline and ask if the specific model you wish to buy covers the motor in the warranty even if it is limited. Thick hair naturally requires prolonged usage; you’re better off being protected in case your device gives any trouble. A powerful motor, easy to hold and use and long lasting dryer is what you need for thick hair. Consider the above points while focusing on these three in particular and there you have it.